Warning: bad stuff happens in this installment. 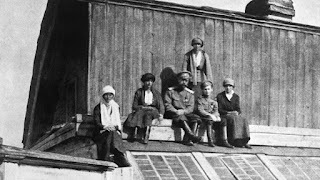 Nicholas II, Alexandra, Maria, and their servants are on their way to Tyumen to get on the railway. The fastest way to get to Moscow from Tyumen was to ride the train west, but that would take them through Yekaterinburg, a large city in the Urals, full of communists. The Ural Soviets were based in Yekaterinburg and they were baying for the Romanovs. The Romanovs are in Tobolsk, in a remote part of Siberia. They aren't allowed to walk about the town on their own and are usually confined to a fenced-off portion next to the house. They are allowed to venture under guard to church, though. Because Tobolsk was so remote, it took a few weeks for the news of the Bolshevik coup to reach them--especially since it was winter and the river nearby was frozen. According to Sydney Gibbes, the childrens' English tutor, Nicholas was "depressed" after hearing the news of the Communist uprising. If he had any sense that he and his family's safety was in danger, we don't really know. Nicholas's diary from 1917 has been published but it's not particularly interesting or illuminating. Nicholas II, former Tsar of all the Russias, has abdicated and finally arrives home to the Alexander Palace. Nicholas returned home to be placed under house arrest. There were guards stationed all over the palace, though the family was allowed to live fairly normally--the children's tutors had stayed on, so they were kept busy--there were still servants around--but their movements were restricted. Alexandra could not sit on her balcony. After a while, her visits to church were curtailed. On the advice of her friend Lil Dehn, who was in the palace with the family, Alexandra had been burning her diaries and some of her correspondence, especially her letters with her father and brother, since the Provisional Government was suspicious that Alexandra was pro-German and had been committing treason against Russia. Okay, so as stated in a past post Stately, Country English Houses, part of my latest Plot Bunny involves a smallish country house built in the Victorian era. The house belonged to an old woman, who inherited it from her parents. Now, the old woman's family is trying to decide what to do with the house. Do they try to build up a case to get it listed in the register of historical buildings? It's not old enough to be automatically listed, so they need to show it has historical significance. It's time for IWSG Wednesday. 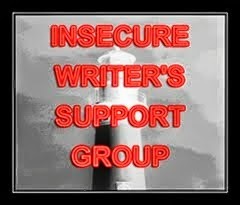 The Insecure Writer's Support Group posts their writerly insecurities out to the world every first Wednesday of month! Check out the group here. Writing is my main creative outlet. Sometimes, I think it's my only creative outlet since I can't draw, can't dance and can't sing on key. But then there's blogging, which is writing, but wayyy looser, at least for me. I've never kept a regular schedule on the blog nor have I only stuck to a narrow set of topics 'cause I'm a rule breaker like that. I like to cook and bake--I don't cook as often as I'd like and my cooking skills are still fairly limited--as is the size of my kitchen--but I do enjoy both when I do them. 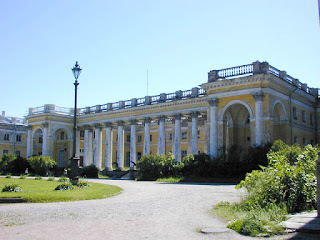 Part Two of my Romanov-related blog posts! 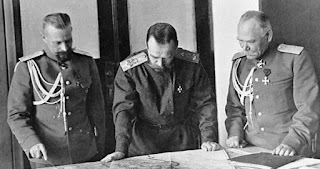 1915: Nicholas II is at military headquarters, commanding the Russian army. He's left his wife Alexandra in charge of the governing of the empire. Alexandra hates Nicholas's ministers, appoints her own ministers (at the advice of Rasputin), and the extended Romanov family pick representatives to approach the emperor and empress to give them interventions in the whole matter of Grigori Rasputin--and the peril they thought the country was in. There were cousins planning coups, for goodness' sake. Mind you, this is going on while the Russian army is cannon fodder in WWI and unrest is churning at home. On December 30, 1916, Rasputin was invited to the Yusupov Palace, home of Prince Felix Yusupov, husband of Tsar Nicholas's niece. Also, Prince Felix is ridonculously rich. Richer than the Romanovs kind of rich.